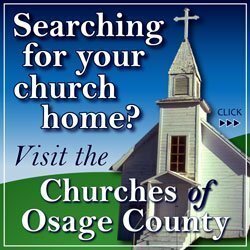 The 2016 Christmas on Market Street parade, set for 6 p.m. Nov. 26, 2016, will top off an event-filled day of activities planned by the Osage City Chamber of Commerce, including a live nativity scene, craft show, gingerbread house building, visits with Santa Claus, a chili cook-off and more. The theme of this year’s lighted parade is “Legends, Rails and Jingle Bells”. The parade committee is inviting everyone to participate in the excitement of the beginning of the holiday season, and be a part of the parade that will include theme-decorated floats, cars, and specialty entries. Also, a new class has been added this year – decorated golf carts and ATVs. Cash prizes will be awarded for floats: $100, first place; $75, second place; $50, third place; prizes for golf carts and ATVs will be $30, first; $20, second; and $10 for third. 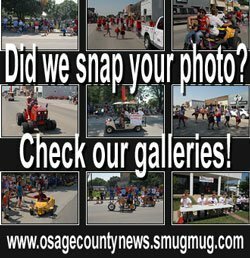 The parade will begin at 6 p.m. at the west end of town on Market Street. Staging will begin at 5:15 p.m. All entries are asked to enter from the west end of Market Street. Judging will begin at 5:30 p.m. Emergency service vehicles will line up north on Second Street. The parade will proceed east down Market Street to Seventh Street. 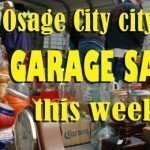 For more information, or to register an entry or float in the parade, contact Osage City Chamber of Commerce at [email protected]; or call Cherity Kerns 785-633-6715.